Imagine if you had the power to prevent cervical cancer. What would you do? Cervical cancer is nearly 100% preventable, yet each year there are over 311,000 deaths from cervical cancer worldwide and over 528,000 new cases each year. 87% of cervical cancer deaths occur in low resource settings. Cervical cancer is the leading cause of cancer death in most Sub-Saharan African countries with more than 61,000 dying in 2015. More women die globally of cervical cancer than die as result of childbirth. Women living with HIV are at least five times more likely to develop cervical cancer than their HIV-negative peers, and they have twice the risk for death from invasive cervical cancer within three years than women who do not have HIV. These deaths from cervical cancer are 100% preventable. In most countries, there is little prevention, screening and treatment available. Yet we have effective, low-cost tools to prevent and treat the disease. Catalytic change is needed to prevent women dying from cervical cancer. 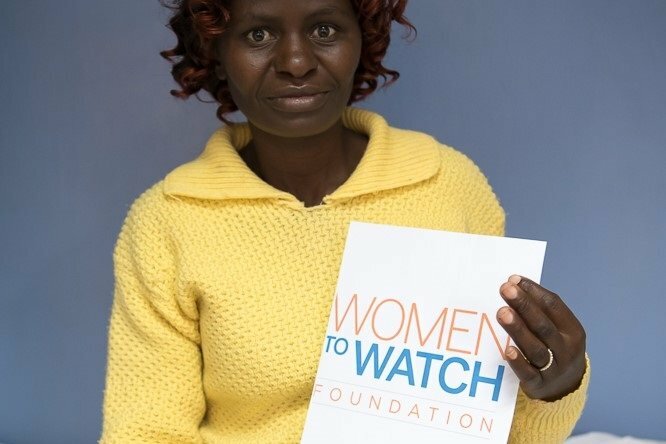 The Women to Watch Foundation is partnering with TogetHER for Health to end cervical cancer. The Women to Watch Ambassadors are bringing both awareness and since 100% preventable, increase our fundraising efforts to vaccinate girls and screen and treat women early and at a low cost. We are asking for your help. You have the power to join us in preventing cervical cancer now. • $25 can provide a woman with screening and treatment of cervical pre-cancer. • $100 can vaccinate 11 girls against HPV. • $500 can provide transportation for 10 women to and from treatment centers in Sub-Saharan Africa. • $1,000 can train community health workers to do outreach work. The Foundation is a recognized 501(c)(3) with 100 percent of the proceeds collected going to the humanitarian initiatives we serve. Corporate matching gifts are also appreciated. Please check with your employer or go to https://www.matchinggifts.com/unh to see if your company participates and please submit the required paperwork. Thank you for giving and exercising your power to prevent cervical cancer.